For brief periods of time during the week of August 8, 2011 Apple surpassed Exxon Mobil to become the world’s most valuable corporation, a herculean feat for any technology company and specially for one that was on the verge of bankruptcy 14 years ago. Apple’s phenomenal success and path breaking innovation over the last five years has tempted many management gurus to delve into the secret recipe behind its achievements, a secret which is most likely locked in the mind of Steven P. Jobs. While some of these secrets may be revealed in his upcoming official biography iSteve: The Book of Jobs, the details may never be known. Steve however has often talked about the DNA of Apple’s success and the philosophy that drives their product strategy during the launches of their flagship products. Mr. Jobs may have recently stepped down from the position of CEO at Apple, but that will most likely not affect the company at-least for the next few years. It is the DNA of Apple that will need to be carried forward by Steve’s successors and as long as they can manage to do that the company should continue to perform well. At a very simplistic level what the iCEO is talking about is the notion of “balancing creativity and productivity“, two completely distinct ideologies that can create wonders if blended well with each other. In the field of organizational behavior this happens to be one of most studied subjects with a majority of the research indicating that creativity and productivity both require very different environments to thrive. For instance, productivity is many times focused on eliminating errors and minimizing noise and mistakes while creative environments, thrive on such mistakes. The same is true regarding values and norms in working groups. Good ideas are more likely to emerge in environments that contain a certain amount of noise and error. In groups united by shared values and long-term familiarity, conformity and convention tend to dampen any potential creative sparks. Most organizations need both high productivity and high creativity in order to succeed. The question is how you balance the needs by creating environments that support both, it is certainly a tough ask that requires strong and consistent long term leadership and management support. While Apple is quite secretive and closed about its management practices another organization that has cracked the code of achieving a balance between creativity and productivity and even created processes and best practices around it, is IDEO, the world renowned design and innovation consultancy founded by David Kelley. IDEO is considered to be the mecca of innovation largely because most of the work done here is driven by productive chaos. An excellent video which showcases the organizational design, brainstorming process and techniques to collect insights at IDEO was captured in a famous video on ABC Nightline in 1999. Inspite of all the case studies, examples and best practices brought to light by IDEO the question of achieving a balance between creativity and productivity continues to be an intriguing one. 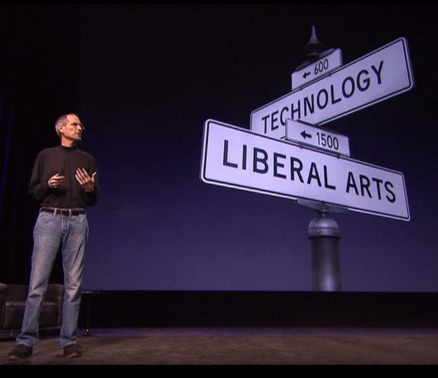 Hopefully, Steve Jobs will be kind enough to shed some light on the matter while he is still alive. Note: We would like to thank Elad Sherf, a lawyer, MBA and currently a PhD student student specializing in Management and Organizations for allowing us to incorporate some of his thoughts into this feature. Read his original post here. Great post ! Apple is the highest valued company in the world. But what are the true reasons behind the sudden rise of Apple?